Director Ringo Lam continues his successful 'On Fire' series, shifting his brand of thrilling criminal action from the prison, to a school. A young schoolgirl Yuen Fong, becomes inextricably caught in a tragic stranglehold of triad activity after she testifies in court over a triad beating. When news of this reaches young triad boss Brother Smart (Roy Cheung), Yuen Fong must pay him protection money for what she has done. 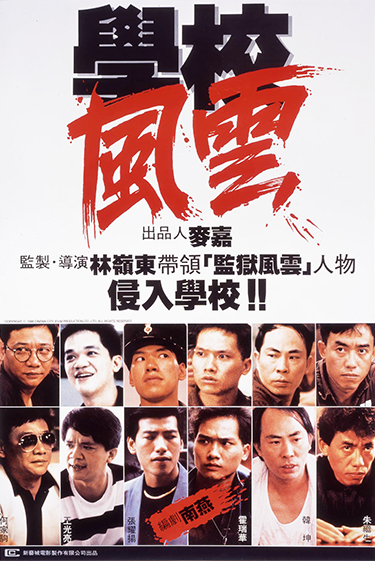 As events begin to escalate, Yuen Fong begins to realize that she is trapped in a world in which even codes of honour and brotherhood among thieves have become obsolete.